The desecration of wreaths laid at the Diamond War Memorial has been described as “totally dismaying” by police in Derry. The memorials were destroyed just two weeks after they had been placed at the Cenotaph on the 100th anniversary of the armistice that signalled the end of the First World War in 1918. 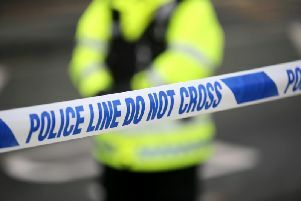 Vandals attacked the monument in the early hours of Sunday, police at Strand Road confirmed on Wednesday. “It is with total dismay that we find ourselves appealing for witnesses or any information regarding an incident involving the disturbance of remembrance wreaths in the Cenotaph at the Diamond on Sunday, November 25, 2018,” the PSNI stated. “This occurred early morning at approximately 2 a.m. We would ask anybody with information to please contact police 101 or alternatively call anonymously into Crimestoppers 0845 555 111. Quote Police reference:- CC 550 – 25/11/18. We thank you for your attention with this matter,” the PSNI said.